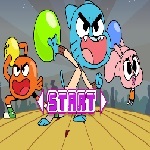 Description: Gumball vs Darwin is a new addicting Gumball game.Play using your mind and your logic thinks to complete the levels. 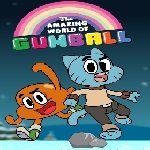 Instruction: Darwin is lost need Gumball help to go to the other side to the building. Game Controls: Arrow keys to run and SPACE to jump.